It was a moment to remember when Naim Group of Companies bagged ‘The Best Booth Award’ at the Sarawak Housing and Real Estate Developer Association (SHEDA) Property Expo 2017 held in Kuching. 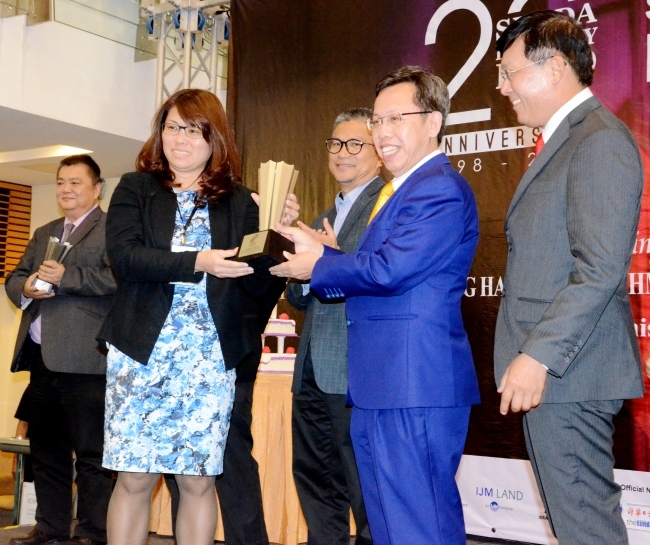 The expo’s top award was presented by YB Senator Datuk Professor Dr. Sim Kui Hian, Minister of Local Government and Housing Sarawak to Naim’s Deputy Managing Director, Christina Wong during the opening ceremony of the expo. The expo was held from 14 to 16 July 2017, at the Borneo Convention Centre Kuching. 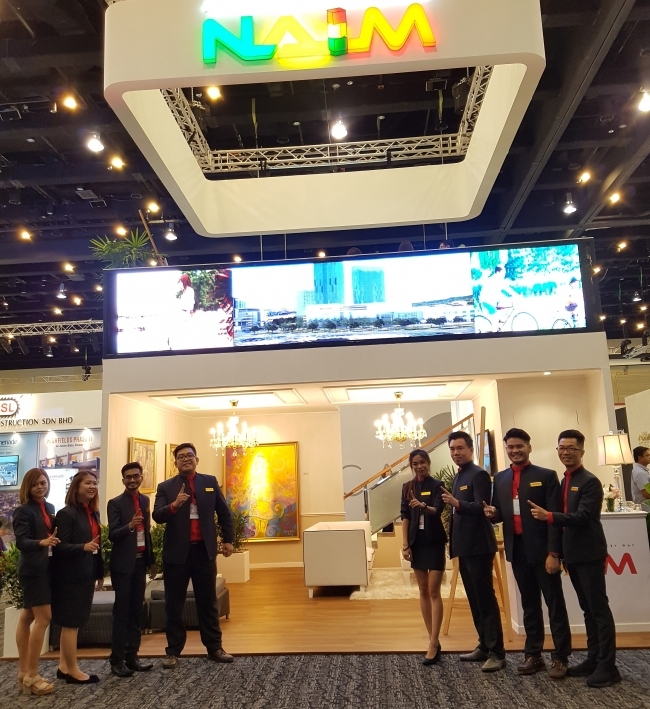 Naim’s Chief Executive Officer for Property Lee Han Ming said this year, the Group took the creative initiative to feature a double decker booth. “We featured a living room with a contemporary classic feel adorned with beautiful paintings by Sarawak artists at the lower deck. The upper deck features our scale model complemented by lush greenery. Lee said that the booth was a testament of the Group’s mission to bring leisure-inspired lifestyle up another notch in Sarawak. “We are the communities’ partner in building a lifestyle of their dreams and we will continue to build and add value to our communities for many years to come,’ Lee said.